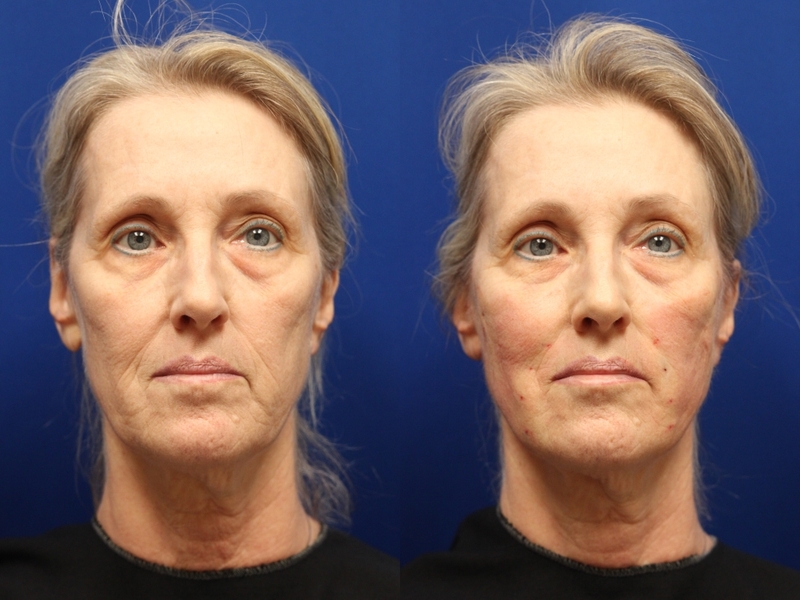 Immediate results without facelift surgery. Weaker supporting collagen and elastin. Fat compartment in the jaw droops. Supporting bones also begin to thin. Volume in general heads south. The triangle of beauty sinks so the base is in your chin and jaw. Little exercise (resulting in shorter telomeres, the things that allow for cell replication). Poor nutrition (few antioxidants and collagen building proteins). High sugar intake (causes glycation). Without the supporting structures gravity starts to win the battle for how you look….UNTIL NOW! As you mature your skin’s supporting structures weaken and gravity pull you skin south causing wrinkles and sag as volume settles in you lower cheeks, jaw, chin, and neck. 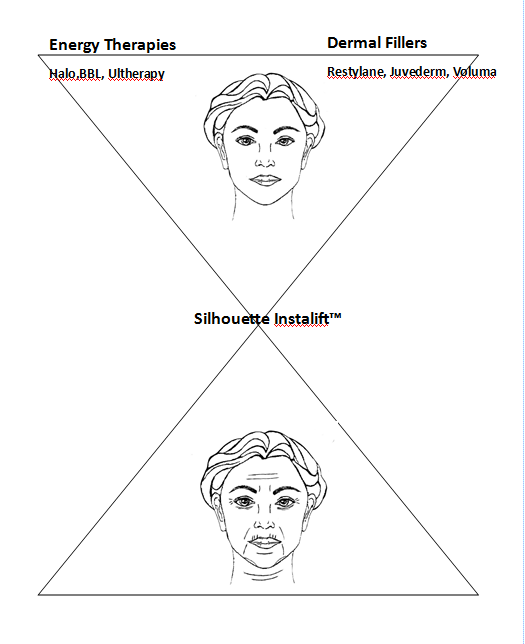 Facelift vs Silhouette Instalift™ : Which one is for me? There is a couple of problems with jumping to that conclusion. First, your body has about 2 facelifts in it before you start to look fake and overdone. A facelift lasts about 5-10years so you should save them until later in life when you’ve exhausted less extreme choices. Another problem is a facelift gives you a fixed result even though your body will continue to change. Imagine being stuck with your 19 year old wardrobe and hair style through your entire life. You want to be able to roll with the changes. At the New You Center our approach to cosmetic medicine has been to favor natural looking results and therefore adopt therapies that work with your body over just a forced addition that won’t evolve with your changing appearance. Facelifts are appropriate when you need them and they are right for you. You don’t want to get them too early in life. Facelifts are costly and involve considerable downtime. (If you are a candidate for a facelift, I’ll be straight forward with you and say so. I can recommend some of the best plastic surgeons in the country if not the world.) Instalift will not replace facelifts in intensity or longevity of effect. Nothing replaces a facelift…when its needed. You want to see an immediate improvement. You have mild to moderate jowling but nothing that’s significant enough to get a facelift. You want to elevate and rejuvenate lost facial fullness. You’re a physical candidate for a facelift but you don’t want the cost, surgery or lengthy recovery. For physical reasons facelift surgery is not an option for you. You’re in between facelifts. The lifespan of a facelift is about 10 years but some people see gravity ruining their investment about 5 years in. Instalift can help you maintain your contour. You’ve experienced some significant fat loss but not enough to get a facelift. It’s been a few years since you had your Instalift and you want to maintain your look. You can do Instalift without it making you look overdone. If you have heavy or large jowls Instalift may not be for you and I’ll tell you if that’s the case. Some people are happy with just a little lift. A full diagnosis by a physician should include all your options and possible outcomes. How does Silhouette Instalift™ work? Instalift uses a polylactic-co-glycolic (PLGA) biodegradable thread and bidirectional cones made out of poly-L-lactic acid (PLLA). Now what all that “sciency” means is that the coned thread is made of lactic acid like you find in your body. It will breakdown and it won’t create inflammatory rejection. In fact the PLLA cones have the same active ingredient as the dermal filler Sculptra™. PLLA stimulates type III collagen, which is the structural and solid collagen that makes for a good skin foundation. Type III collagen builds around the cones so that when they are absorbed a fibrosis is formed which maintains the supporting tissue in its new lifted position. Lift now – Lift later. The nice thing about Instalift is you get to elevate and rejuvenate your face in one procedure for immediate as well as long lasting results. Elevate immediately: Delayed gratification is great…as long as you don’t have to delay it! After the cones are anchored in your skin they immediately lift and elevate your face’s shape. Walking right out of the procedure everyone wants to hit the mirror and see the difference! Rejuvenate later: Instalift has a time release aspect. We generally think of inflammation as a bad thing. Inflammation is your body’s response to healing. Instalift gives you “Goldilocks inflammation,” not too much; not too little, but just right. As the cones slowly breakdown, they trigger your body’s collagen development which replaces the thread and cones with your own collagen so your skin stays elevated long after the threads are absorbed. A greatly enlarged Silhouette Instalift thread. Actual size is the thickness of your driver’s license! What's the Silhouette Instalift™ procedure like? We’ll do a pre-procedure physical. Plan to have someone drive you home or we’ll call you a taxi. I mark your face and confirm with you the areas to be treated. The procedure lasts only 45-60 minutes. You’ll get a local anesthetic and perhaps a Xanax. A small opening is made in an anchor location usually in front of your ear or above the hairline. (Don’t worry no one will see it.) Everyone asks, “How big is the opening?” I’m talking tiny, it’s about the size of the thickness of your driver’s license! See this “o”? Well it’s smaller than that. The Instalift thread is inserted with the cones shut and the cone tips pointed down toward your chin. A fine thread guide, again the same size as mentioned above, is used to position the thread and cones in the desired locations. Once in position the thread is gently tugged to the necessary snugness to restore your natural lift. Again nothing uncomfortable. A comparison would be for you to take 3 fingers and put them on a line on you cheek. Now move them quickly upward. With the thread triggered two things happen:1.) The cone swings open like a microscopic umbrella and they attach to your deep skin.2.) The open cones fill the gaps where collagen is lacking at the moment.The number of threads used depends on the results desired and the area being treated. Once the thread is in place, the cones are opened and they have a good hold on your skin, I’ll remove the thread guide and tie off the thread. I’ll check to make sure your skin has a balanced and natural shape and make some smoothing adjustments. The best part! 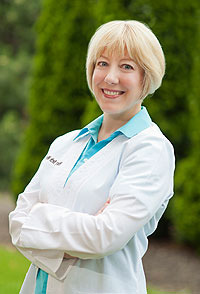 You get to look at you restored and rejuvenated face and see your immediate results! What will I have to do after I get Silhouette Instalift™? You may have some redness. You might have some minor swelling so you’ll want some ice bags handy at home. Bruising is generally mild. I offer complimentary laser bruise treatment to patients to quickly break down bruises, speed up healing and make you feel better about yourself. No driving for 48 hours after the procedure. No alcohol for 48 hours. Expect the tiny openings to drain. (That’s good.) No band-aids or peroxide. For the first 72 hours drink plenty of water and eat a soft diet. You want to avoid excessive stress on the thread for the first two weeks so no excessive or repetitive chewing like gum, hard or sticky food. Avoid huge yawns, heavy laughing, or smiling in the first 2 weeks. Don’t sleep on your face for 72 hours. No vigorous exercise for 2 weeks. The threads dissolve over 3-9 months being replaced with your own collagen. Collagen builds over 3-6 months and is subject to your body’s normal aging process. Results last 18 months to 3 years. Your skin heals in the new lifted position. 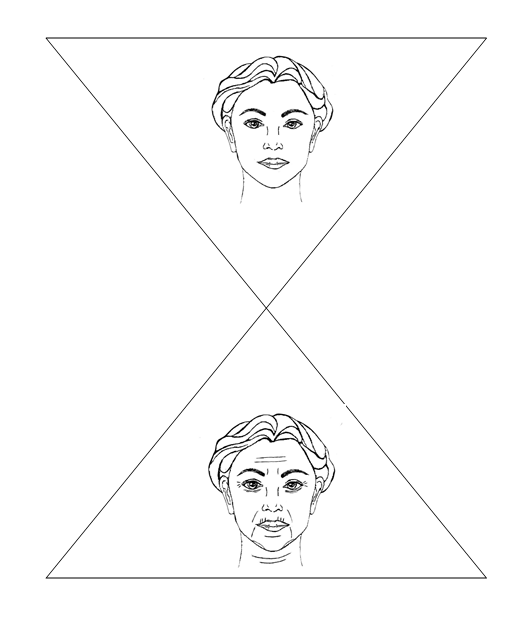 The reduction in the nasolabial folds. The added fullness in the cheeks. The smoothness around the chin. The results will improve as her collagen continues to develop. The Volume Flip Technique combines the results of all three therapies to achieve superior full face revitalization for the longest period of time. When you’re considering Instalift, don’t just think about it the results you can get with it alone but in conjunction with energy therapies and dermal fillers. All three can be combined to “flip” the hour glass and restore your face shape for longer term results that cannot be achieved using just one therapy by itself. Instalift certainly offers a quick fix which is great but if you are thinking about how you will look 10, 15, 20 years from now, I would strongly suggest you look into full face revitalization using the Face Shift Technique. You can ask more about it at your consult and see if its right for you. How does Silhouette Instalift™ compare with Contour Thread Lift, Halo Laser®, BBL/Photofacial™, Ultherapy® and Dermal Fillers? Puckering and rippling of the skin due to asking the thread to do too much. Thread breaking causing retained skin to not only fall and sag again but often to do so in an uneven manner. The thread was permanent and didn’t dissolve and so couldn’t evolve with the patient’s body changes. As patient’s aged more skin was suspended not only causing the thread to fail but creating an odd appearance. Swelling and skin inflammation that wouldn’t go away. Visible knots and dimpling under the skin. Extensive scarring that made the threads hard to remove especially if a facelift was later chosen. 20% of patients needed repeated procedures. The thread could only be adjusted in one direction giving a phony 2 dimensional result. Poor results. 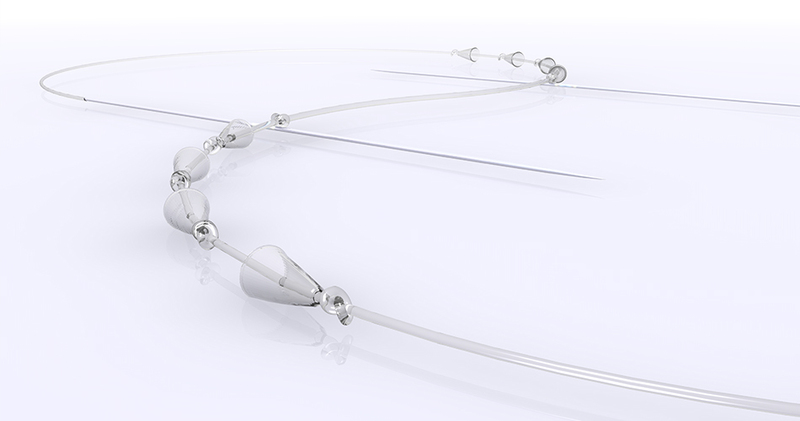 On a scale of 0-3 after an average of 21 months, Contour thread lift patients reported 0.2-0.5 levels of improvement. Silhouette Instalift™ provides an immediate mechanical lift with the absorbable coned thread that anchors within your skin. Instead of forcing your body to do something artificially, Instalift gives you the immediate lift without being a permanent thread and without of the complications that came with the old Contour Thread Lift approach. The Instalift thread evolves with your body and lets it replace the thread with your body’s own natural collagen. How does Instalift compare with dermal fillers for lifting and restoring lost face volume? Both procedures take about the same amount of time. Dermal fillers have little or no recovery while Instalift takes about 3 weeks for full recovery. Both dermal fillers and Instalift will give you immediate and longer term results, which will vary depending on the person. Instalift isn’t going to replace fillers and vice versa. Dermal fillers give you volume now and Instalift gives you volume later. Over time gravity gets the better of even dermal fillers. If I use too much filler to counter the effects of gravity and the naturally maturing body you can end up with a puffy, over-filled look and we don’t want that. Instalift doesn’t add volume directly but provides direct and immediate mechanical lift to skin. Later it stimulates collagen so your own body plumps and tones your skin naturally. Like dermal fillers, Instalift lasts 6-12 months as the thread dissolves and your body stimulates collagen production. Instalift will restore volume and elevate the physical skin mechanically with its thread. Halo will rejuvenate the skin itself and provide an over all restoration of the skin which produces some elevation but in a generalized way. 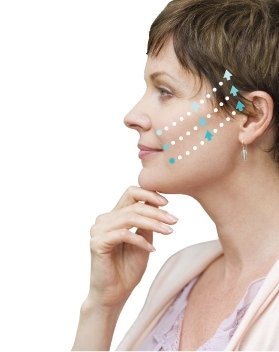 Instalift gives you fine tuning and exact control over the lifted area and very specific collagen development. You should consider getting a Halo every 1-2 years as part of a full-face revitalization. Photofacial works in a similar way to Halo in giving generalized overall skin restoration but not the specific and directed mechanical elevation of Instalift. Photofacial will work well in supporting your full-face revitalization that’s begun with Instalift. The two work well together. Consider getting a Photofacial every 6-8 months to help boost your Instalift results. Where Instalift gives immediate and specific lift and longer term results. Ultherapy’s results are not immediate and unfold over time in a generalized way. Again like the other therapies it provides excellent overall skin improvement.